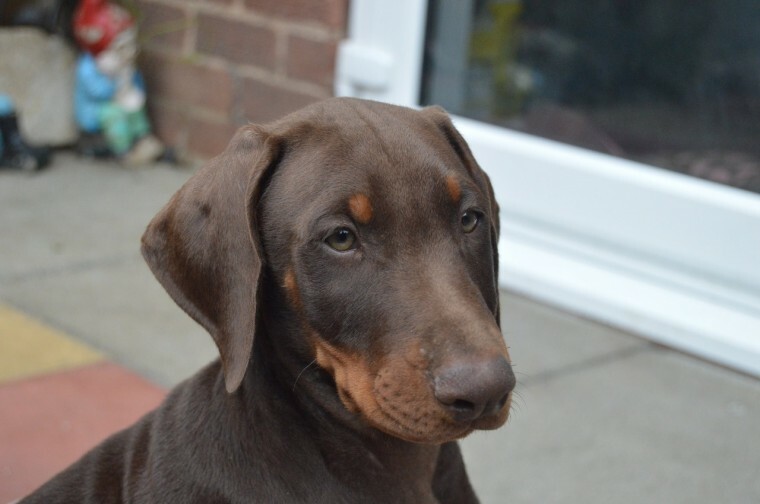 Stunning black and tan females ..chocolate males ..pedigree Dobermanns .not kc. Reared in our family home very well socialized children cats and other dogs .. Fully vaccinated can be taken straight out for walks ... Also microchipped flea and wormed all paper work here from our vets .skeldale . as proof of all been done to take with you ..welcome to our family home to veiw many thanks for reading my advert ..